Canon EF 70-200mm 1:4 L IS USM Lens. Condition is Used. Comes with ultra violet filter. Stabiliser. AF and MF Dispatched with Royal Mail 1st Class. The lens produces excellent results. The Silent Wave Motor (SWM) feature provides swift autofocus with superior accuracy and ultra-quiet operation. This lens is in full working order. 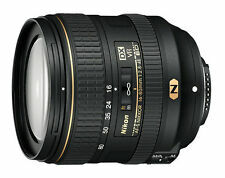 This is the Nikon AF-S ED Ultra Wide 14-24mm f2.8 G Lens. Olympus M.Zuiko Digital ED 30 mm 1:3.5 Macro Lens - Black (MINT UNUSED). Nikon 50mm F1.8 E Series - Pancake Lens - Made in Japan. No fungus, haze or scratches. Really nice lens. Super lens.Its a light compact lens with wonderful optical qualities so its a fantasic choice for adapting to digital mirrorless with appropriate adapter(not supplied)Excellent condition, clear optics. Jupiter-9 ultra fast f2 85mm lens. Superb condition. Focus is lovely and smooth. 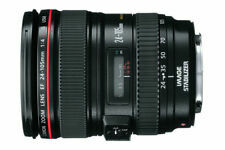 A superb Canon EF USM 20-35mm Ultra Wide Angle lens to fit all Canon EF 35mm SLRs and Canon DSLR's. NOTE: Sensor cropping on DSLR's will occur. Nikon Nikkor Nippon Kogau 50mm F1.4 Lens. Proskar Ishico Anamorphic - 16 X2 - No. 673272. Proskar Ishico Anamorphic - 16. Magnification X2 Lens No.673272. 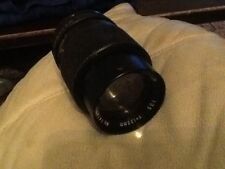 Item will be supplied in a protective case ( very worn - but protects the lens very well ! ). 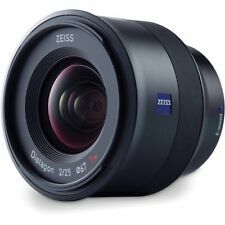 This is theCanon EF 20mm F2.8 USM Wide Angle Lens for EOS SLRs. USM - Ultrasonic Silent Motor for superb, fast autofocus actio. The auto / manual focus facility is rapid throughout with no hunting or AF loss. Vintage Pentax Tamron 300mm Camera Lens. Condition is Used, sold untested. Dispatched with Royal Mail Signed For® 2nd Class. Clearance of Loads of Stuff! Another SAMSUNG NX 20mm f/2.8 I-Function PANCAKE LENS. For sale, Canon EF 200mm f2.8 L mk ii, in good condition. Regards, John. Very sharp and beautifully engineered like all Canon FD lenses. Excellent condition throughout - no scratches or fungus on the glass. Silky smooth focus and diaphragm is working correctly. EAN 018208019069 UPC 018208019069 Brand Nikon Focal Length 50mm Compatible Brand For Nikon Camera Technology Digital Maximum Aperture F1.8d MPN Does not apply. Asahi PENTAX Super-Takumar 135mm f/3.5 lens M42 mount. EXC++ condition. Great! In excellent EXC condition. Nice smooth focus action. Lenses would be optically clean. Lenses may have dust and minor optical blemishes, which wouldn't affect image quality. Lenses may have dusty and/or optical blemishes which shouldn't affect image quality. 4.5 out of 5 stars - Asahi PENTAX Super-Takumar 135mm f/3.5 lens M42 mount. EXC++ condition. Great! 6 product ratings6 product ratings - Asahi PENTAX Super-Takumar 135mm f/3.5 lens M42 mount. EXC++ condition. Great! Canon 50mm Macro Lens. in FD mount. couple of dust spots inside but nothing that will affect the image. 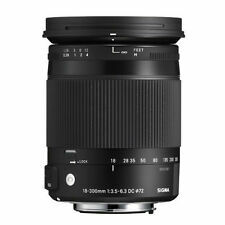 Panasonic Lumix G Vario 12-60mm F3.5-5.6 (New from kit). Condition is New. Dispatched with Royal Mail 1st Class. A period Japanese carry case, bracket etc as pictured are included in the sale. Condition is Used. The lens works just fine, and I have tried to show the minor marks on the lens. 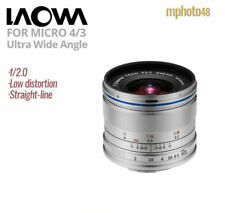 Lens for M42 SLR. Focus is lovely and smooth. Auto / Manual switch. Canon 24-105mm F/4 L IS USM Lens - excellent condition! 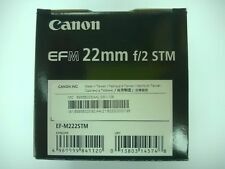 Canon 24-105mm F/4 L IS USM Lens - excellent condition!. Condition is Used. Dispatched with Royal Mail 2nd class. Sadly no box due to moving house but does come with canon store away pouch and both front and back lens caps. As seen in images lens is in amazing condition as not used as much as I thought I would have. There is one scratch on the lens hood which I've highlighted in one of the photos but this does not affect the functionality of the lens. Has been stored away when not in use. Pentax 17-70mm f4 AL IF SDM -. Condition is Used. Dispatched with Royal Mail 1st Class. I now use an Olympus but on a Pentax this was my everyday lens, offering a really useful zoom range for most situations and a lot more flexible than the 18-55 supplied with most cameras. It is in full working condition. The front and rear lenses are excellent with no marks. It had a filter on the front from the day I bought it to protect the lens. Comes with lens hood and rear cap. The front lens cap is not a Pentax one. There is a faint mark on the very rear of the camera-purely cosmetic.